An easy way to scarify large areas of lawn. 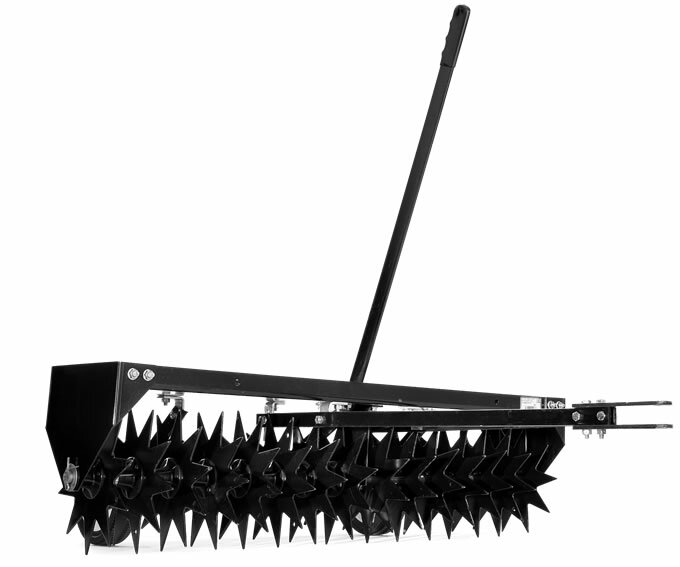 A simple attachment for Husqvarna's lawn tractors, this towed scarifier/aerator slices into the ground when it is pulled along, so that that water, sunlight and nutrients are able to reach the grass roots for healthy, future growth. 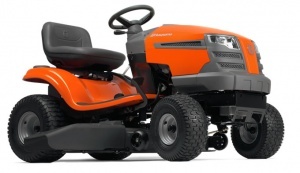 It can be weighed with up to 45 kg depending on ground conditions and is suitable for all Husqvarna tractors. 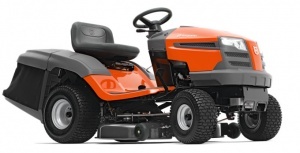 With a 97 cm cutting deck and side discharge cutting, this user-friendly tractor from Husqvarna is a capable and efficient machine, also compatible with a wide range of attachments ideal for versatile operation. A side ejection high capacity garden tractor, this model can also be expanded with extra versatility courtesy of additional accessories. 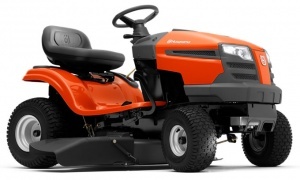 It has a 107 cm cutting deck and a powerful, Husqvarna Series engine. With chokeless start and pedal-operated hydrostatic transmission, this is a user-friendly garden tractor ideal for small to mid-sized gardnes. A 97 cm cut model, it has a 220 litre rear collector for a pristine finish.